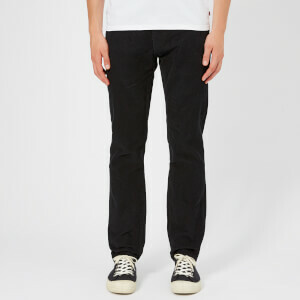 Men's 'Cool Guy' jeans from Dsquared2 with a stretch cotton construction. A classic five pocket design with a concealed button fly, belt loops and distressed detailing throughout. Tonal stitching and branded hardware also feature. 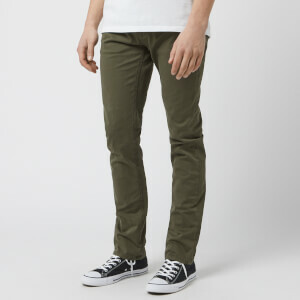 Designed with a long crotch, tight bottom and tapered leg. A calf leather logo patch sits on the reverse waistband.